If you’re shopping for a new SUV make sure you swing by your local Mechanicstown Honda dealer, Middletown Honda, and drive the current 2014 Honda Pilot today! The Pilot is a perennial favorite in the crossover segment because it offers outstanding versatility and impressive capability – along with family friendly convenience. We simply think it’s a better choice than the 2014 Jeep Grand Cherokee, one of its major competitors. Safety: The Honda is the car that you want to be in if safety is a major concern – as it no doubt is for everyone! You get a perfect five star front driver crash test in the Pilot, while the Grand Cherokee only gets four stars. The Pilot gets front and second and third row head restraints, and electronic parking assistance. None of those are available on the Grand Cherokee. Seating: This one is pretty simple. Despite similar size outside and similar weight the Pilot can carry eight people while the Grand Cherokee only has room for five. If you need the space the Pilot is your best bet. Cargo Capacity: The Pilot simply has the Grand Cherokee beat when it comes down to space. 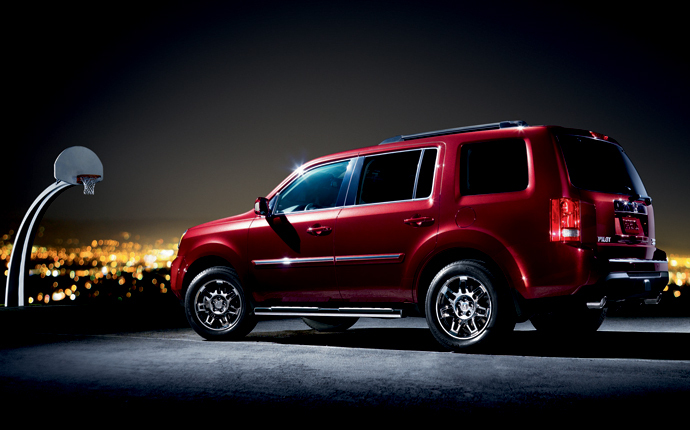 The pilot has a total passenger volume of 153.7 cubic feet, while the Grand Cherokee has only 105.4 cubic feet. That carries over into cargo volume as well. The Pilot excels with 87 cubic feet while the Grand Cherokee only has 68.7 cubic feet of cargo space total. We’re located just minutes northeast of Mechanicstown at 520 Rte. 211E. so come visit us today. Middletown Honda is happy to offer the latest Honda vehicles at our dealership at 520 Route 211 E. in Middletown, NY. We hope to see you soon!